Most of the final products end up abroad, in Germany, Austria, Slovenia, USA, Canada and Australia, but also, there is a quite enough that remains for Serbia, for hotels, restaurants and some better supplied shops. ”There are no happy ending, because nothing ends,” said the character in one movie I watched when I was a kid. Back then, I thought how it was just a cruel thing to say, but life learned me how it’s true. Nothing really ends, because sooner or later, something is going to rise up from the previous story. And, here is a proof: Distillery Zaric from Kosjeric. The distillery is based on a previous well known distillery Povlen. Shine and glory Povlen once had were gone, due to many socioeconomic factors, and for two decades all pure, healthy, natural fruit had to go somewhere away from Kosjeric, in order to become an alcoholic beverage, or a juice, or anything else. So, the family Zaric decided that it’s time to use the full capacity of the nearby orchards and old tradition, to mix it with the modern approach, and technology. It required a lot of financial investment, a lot of work, but finally, all of that paid off. Now, thanks to the distillery, 45 people high educated people work on the process of production, while 1500 families work on the production of the finest fruit in their orchards. Most of the final products end up abroad, in Germany, Austria, Slovenia, USA, Canada and Australia, but also, there is a quite enough that remains for Serbia, for hotels, restaurants and some better supplied shops. 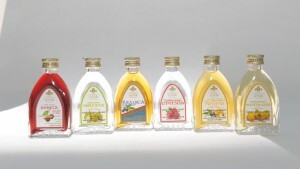 Among many products from Distillery Zaric, none is so well represented like the plum brandy “Kraljica” (meaning “The Queen”). Some say that is has to be the queen of all slivovitz in the world, however, some others say that this plum brandy isn’t exactly slivovitz, and compare is to French cognac. What is very interesting about “Kraljica,” is that every bottle contains the liquid which had to wait at least 5 years to get out of the barrel. What is very interesting about the distillery is that unlike many other brands, even though it wants to support sports and healthy life, it doesn’t try to commercialize itself through the popular sports. However, it supports the adventures of a team of mountaineers. 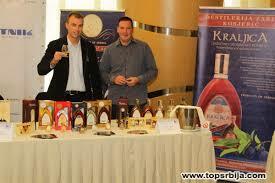 Why Is Slivovitz Considered A Noble Brandy?